Oh my, how time has flown while I’ve been having fun OR not. Life has been difficult lately and the silliest of things inspired me to write this post tonight. I spotted my first humming bird of the summer right there in my own back yard, flitting from flower to flower. Blooms have popped open over the last few days with our recent burst of warm weather here in the great Northwest. 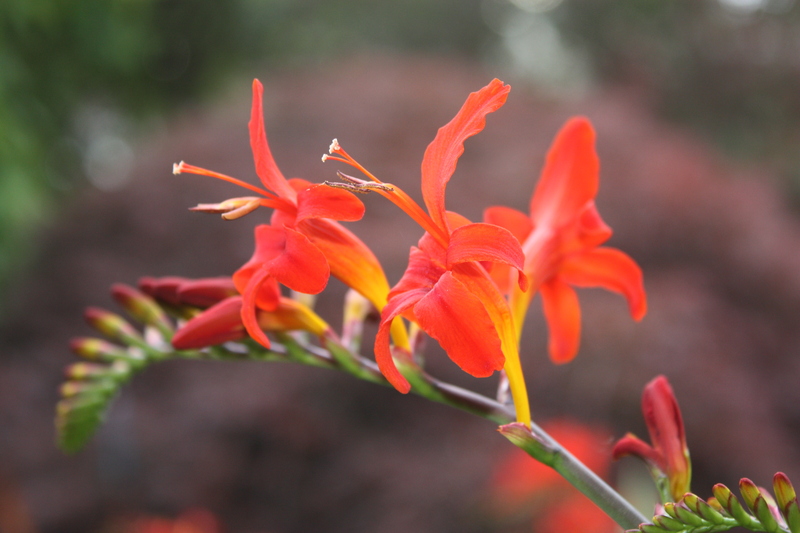 So yes….it was literally a humming bird that enticed me to post part two of Humming. 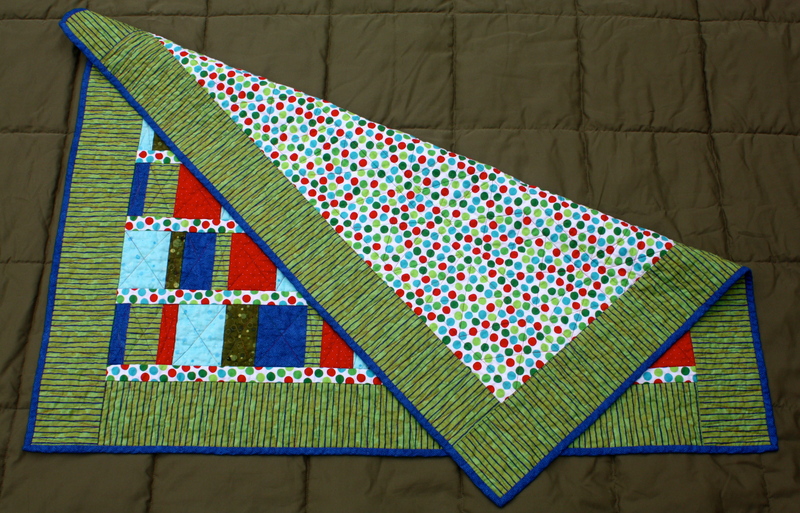 That being said, the second baby quilt for my youngest grandchild was delivered on time for his first birthday. I obtained paint chips from his mama that were used to create a vibrant nursery long before he was born and used these to purchase fabrics for his quilt. 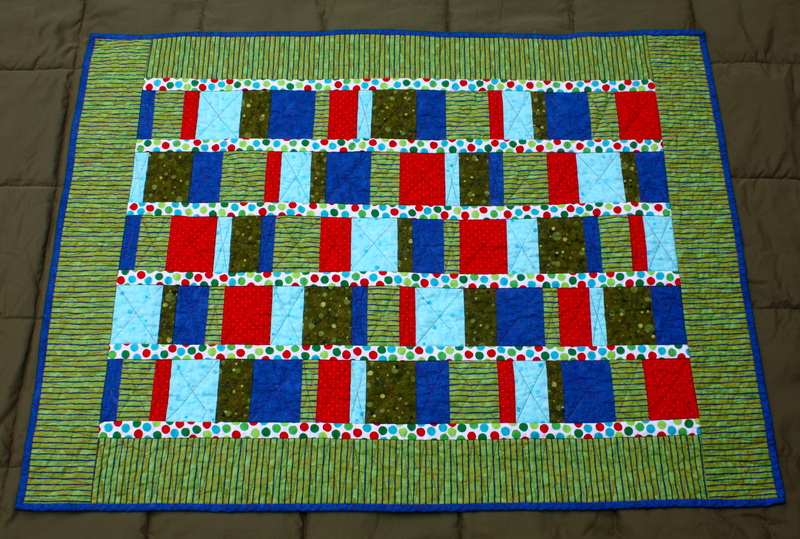 As this quilt was my own design, I was incredibly compelled to put it together. 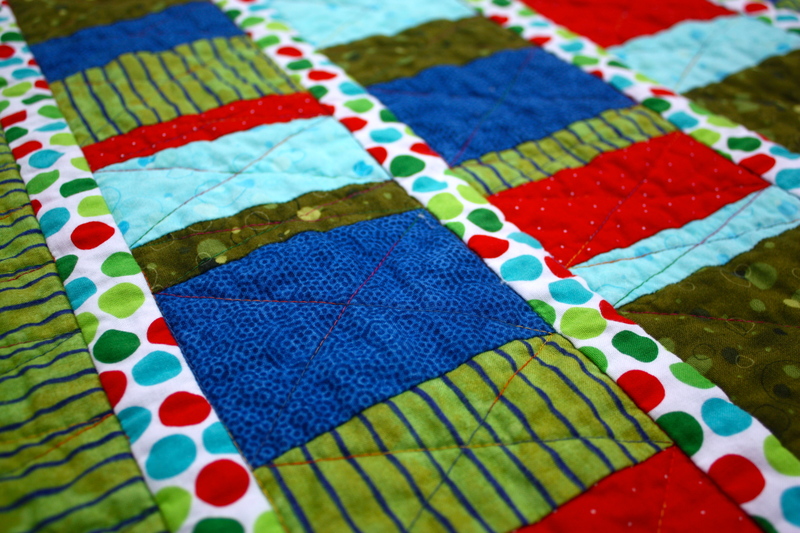 The bright colors and the spectacular blue and green wiggly stripe were fun to work with. I found complete joy in transferring the design in my head to paper, and then cutting and piecing the fabric together in a cohesive top. The finished quilt was a result of my individual creative journey in connecting with my grandson. I’ve talked about inspiration in previous posts, but I haven’t touched on how the creative process itself can be inspiring. Sometimes I can talk myself out of working on a project because I am tired or upset with aspects of my life that are beyond my control. When I choose to throw myself into the process anyway, a soothing calm usually comes over me. I am invigorated and refreshed, and my creative juices start flowing with the simplest of tasks involving fiber, fabric, beads, or embellishments. Amazing! Our responsibilities and obligations take up much of our daily lives, but these are not who we are. They do not define us. I believe that our true selves lie in all things that bring us joy. I invite you to lighten your load, wrap yourself in comfort and hum within the creative process…whatever that may be.